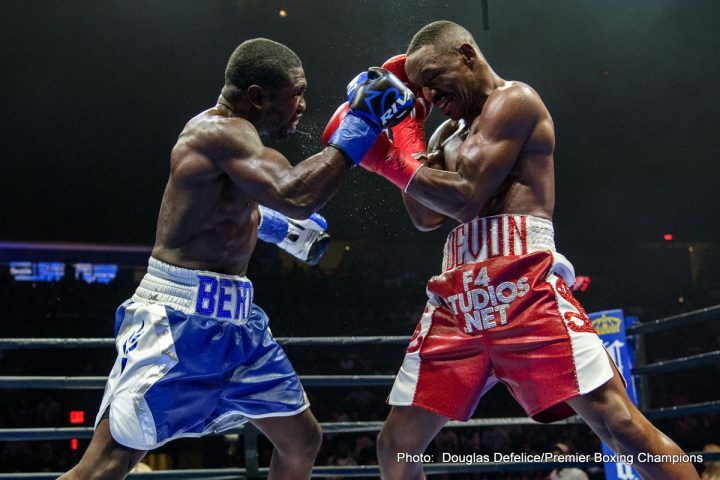 By Jim Dower: Former IBF/WBC welterweight champion Andre Berto (32-1, 24 KOs) showed that he still has a little left in the tank in defeating a tired out former two division world champion Devon Alexander (27-5, 15 KOs) by a 12 round split decision on Saturday night on Showtime Boxing at the NYCB LIVE in Uniondale, New York. 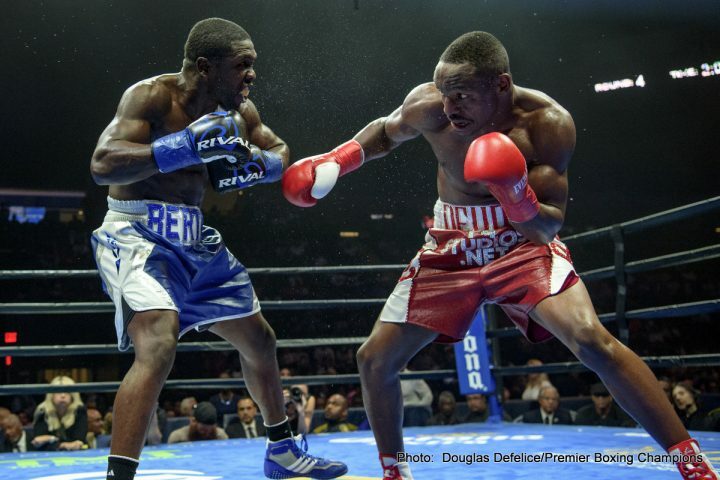 The scores were 115-112, 115-112 for Berto and 114-113 for Alexander. 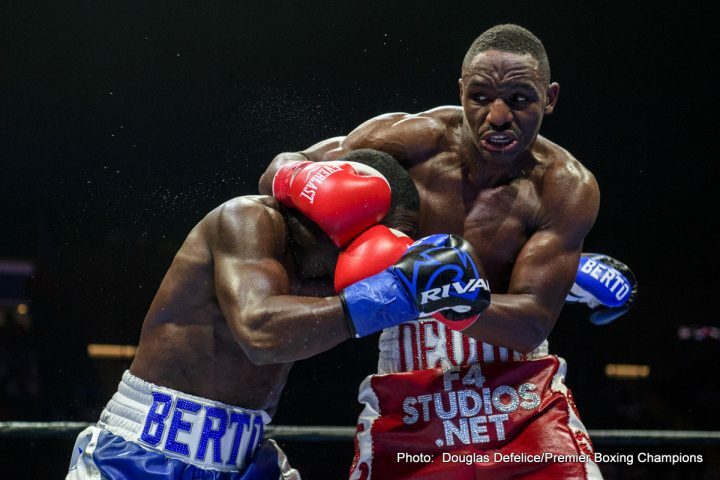 Boxing News 24 scored it for Berto by a 115-112 score. 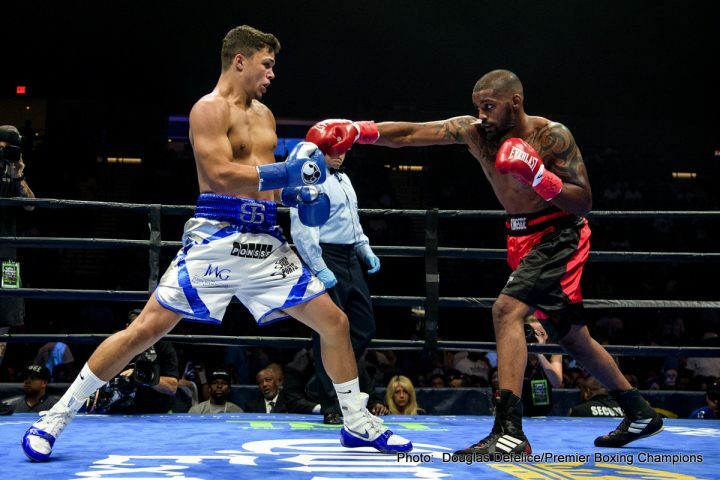 Alexander gassed out after the 5th round and wound up losing most of the last seven rounds of the contest. 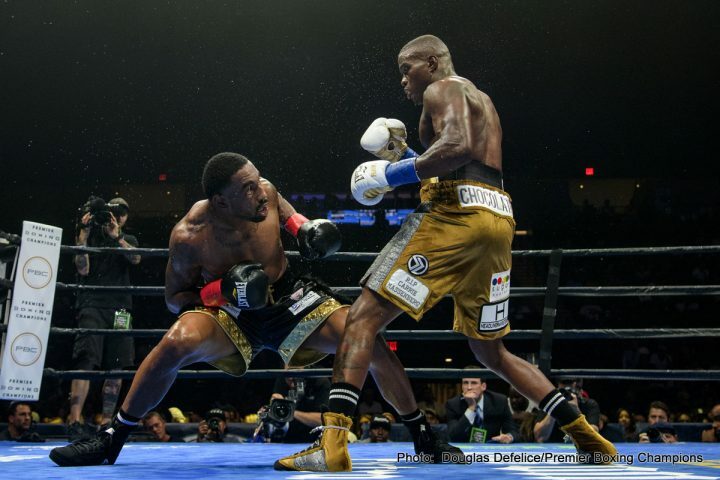 Alexander knocked Berto down with a left hand to the head in round three. 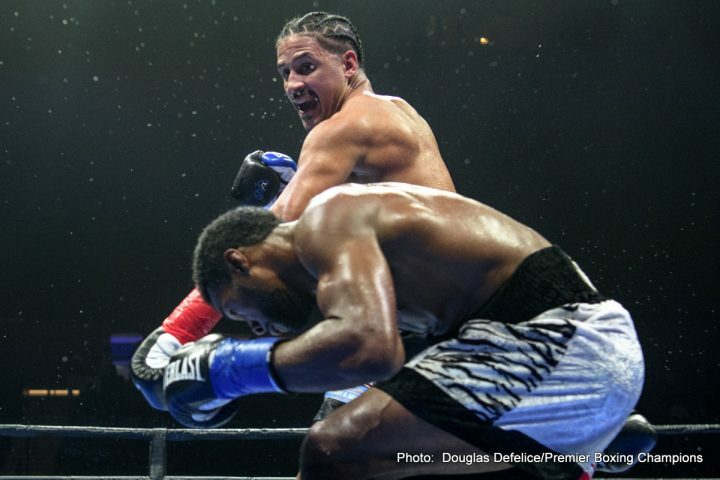 The victory for the 34-year-old Berto keeps his career alive for now. 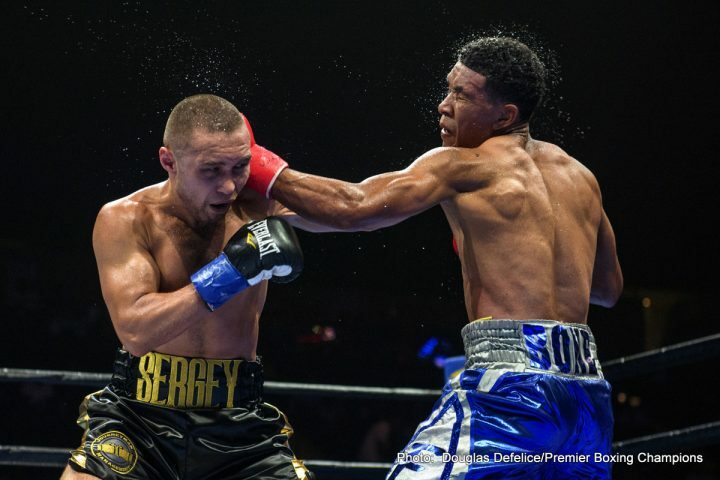 He’s now in the position to challenge IBF welterweight champion Errol Spence Jr. later this year if he doesn’t face Mikey Garcia or the winner of the Danny Garcia vs. Shawn Porter. As for Alexander, he’s going to need to think about his options. He looked bad tonight in running out of gas in losing. It might be time for Alexander to think of retirement. The fight was ugly to watch for the most part with a lot of clinching and wrestling on the inside initiated by Berto much of the time. 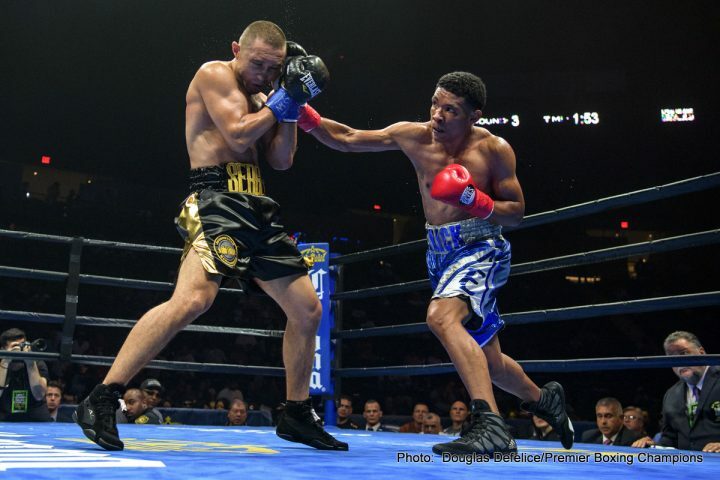 Alexander showed the same stamina problems in the fight that he exhibited in his previous fight against Victor Ortiz last February. That fight was scored a 12 round draw. 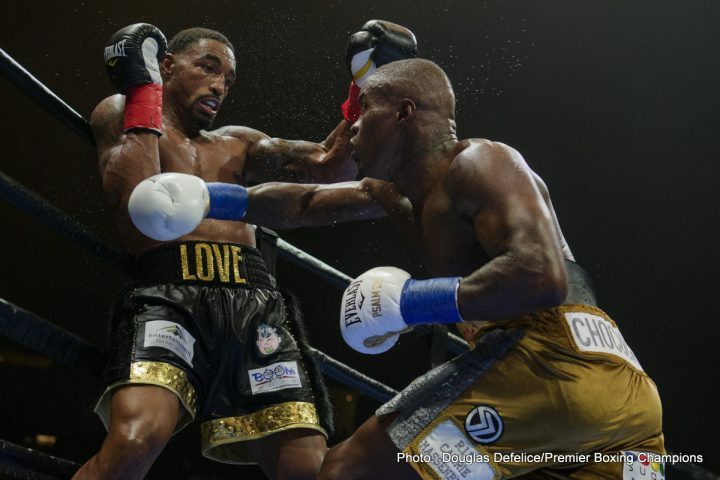 In other boxing results on the card, former WBO middleweight champion Peter “Kid Chocolate” Quillin (34-1-1, 23 KOs) defeated J’leon Love (24-2-1, 13 KOs). The scores were 99-91, 98-92 and 98-92. 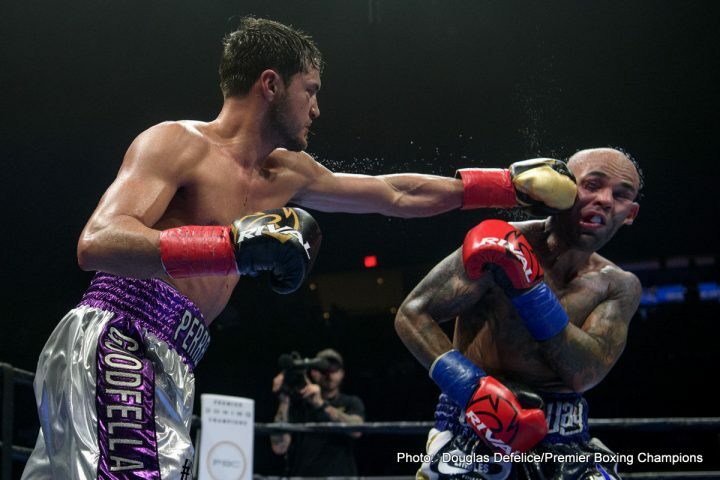 Love, 31, spent most of the fight trying to elude the pressure that Quillin was putting on him. It looked like Love was just running around the ring trying to survive. Love accomplished his goal of surviving, but he lost a wide 10 round decision and made Quillin look good. 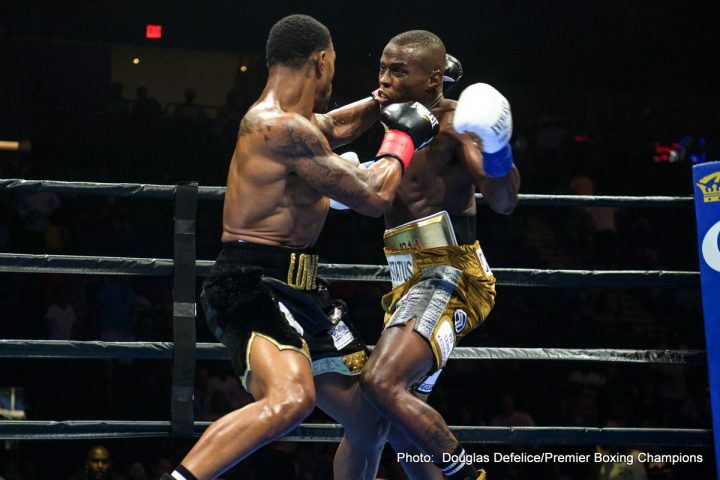 Quillin fought well in putting pressure on the unwilling Love, who fought in a passive manner the entire 10 round fight. Both guys looked underwhelming in the fight. It’s just that Love made Quillin look better than he actually is. The performance by Quillin wasn’t good enough to suggest that he’ll beat any of the top fighters in the super middleweight division. But with Quillin fighting only twice in the last three years, he’s not going to get a title shot anyway. 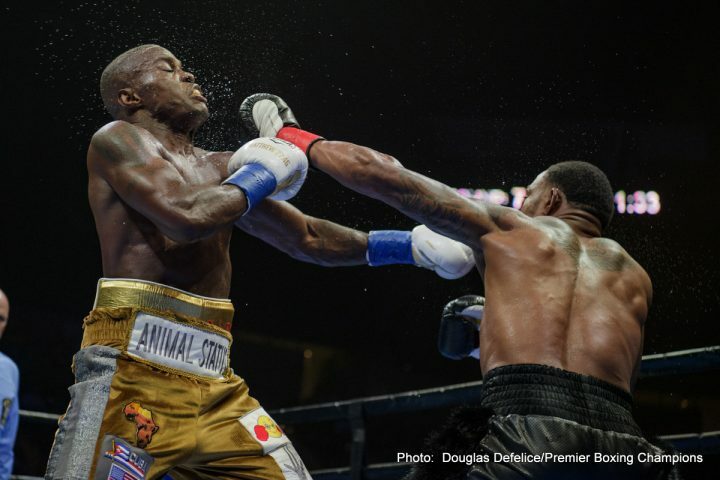 The victory for the 35-year-old Quillin was his second straight since losing to Daniel Jacobs three years ago in 2015. 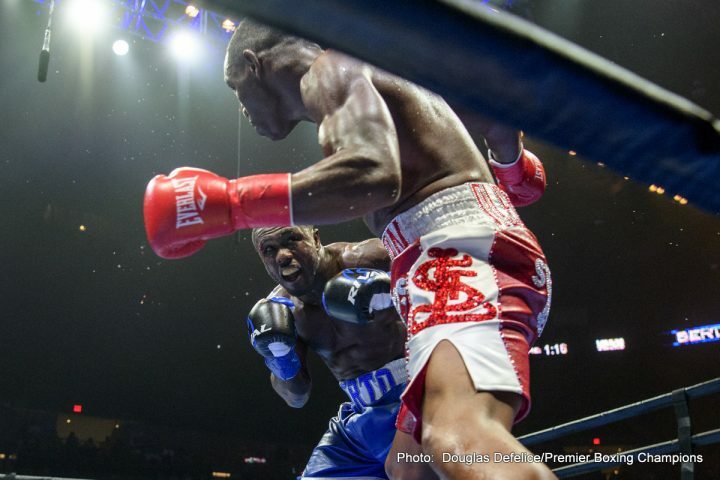 It’s hard to believe that Quillin was fighting only for the second time since his loss to Jacobs three years ago. 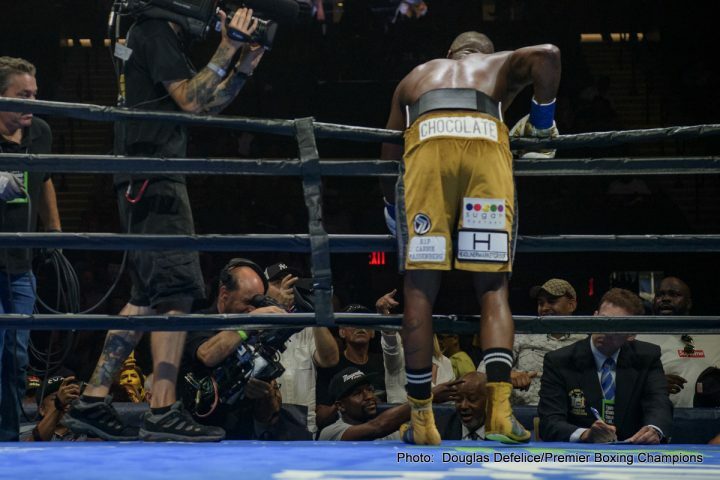 Quillin doesn’t seem to be interested in keeping his career alive. Unfortunately for Quillin, he’s not going to get a world title fight unless he gets a lot busier with his career because he’s no longer rated in the top 15 by any of the sanctioning bodies. That’s Quillin’s fault because he simply hasn’t been fighting. 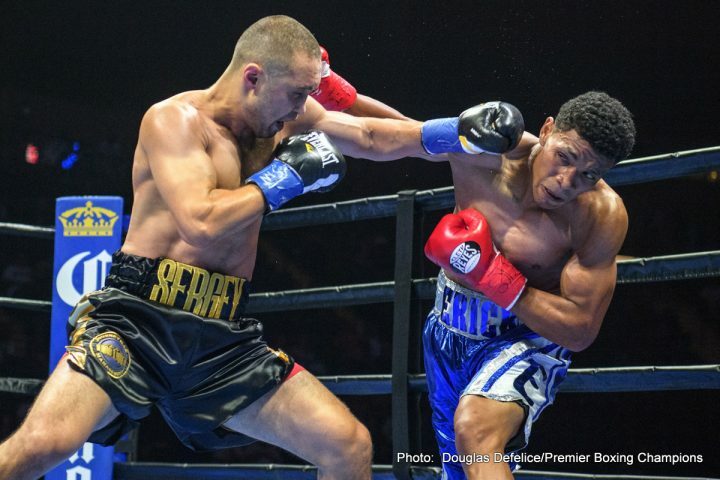 Former International Boxing Federation light welterweight champion Sergey Lipinets (14-1, 10 KOs) defeated journeyman Erick Bone (20-6, 8 KOs) by a 10 round majority decision. The scores were 99-91, 98-92 and 95-95. 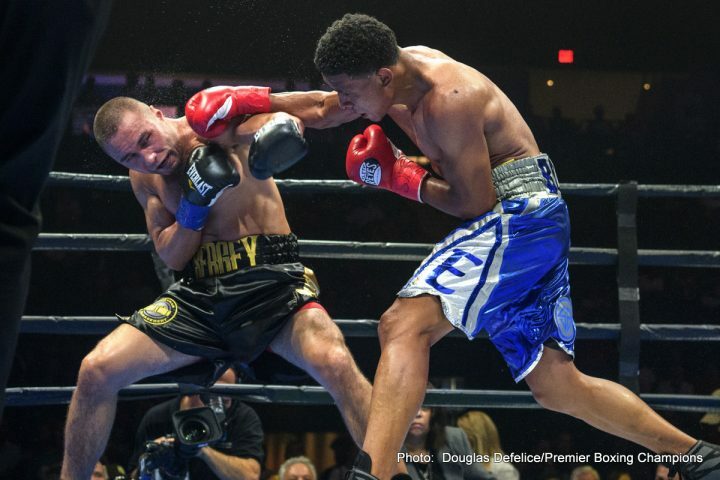 Lipinets is now campaigning at welterweight, and he did not took impressive at all in the fight. 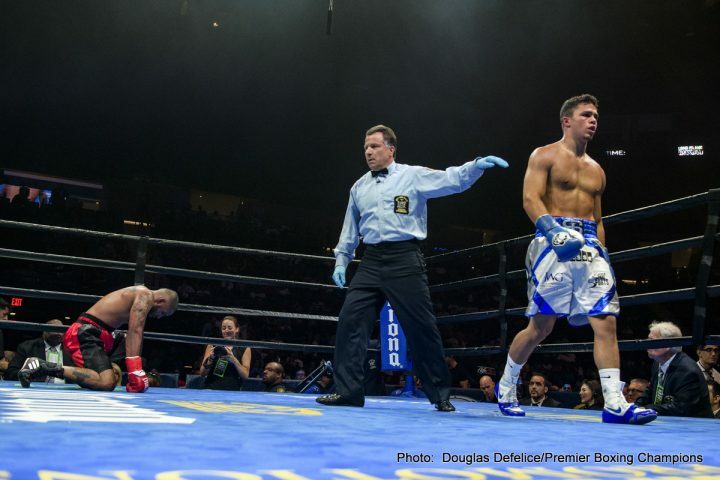 The fight was a lot closer than the scores handed down by the first two judges. Lipinets was missing a lot with his shots and getting nailed. Browne showed little improvement from his narrow eight round split decision win over Radivoje Kalajdzic in 2016. 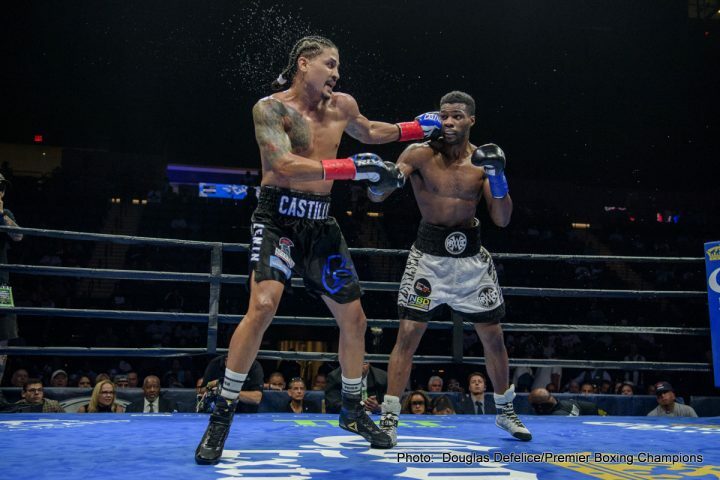 Castillo knocked Browne down in round 5. 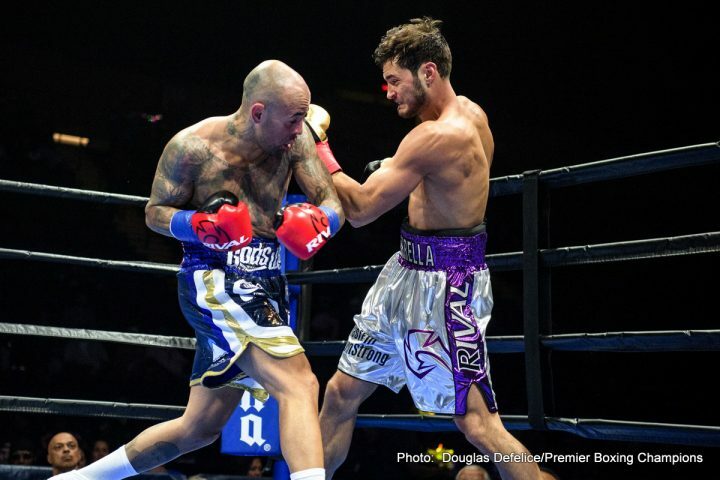 Former World Boxing Association 147 pound champion Luis Collazo (38-7, 20 KOs) defeated Bryant Perrella (15-2, 13 KOs) by a 10 round majority decision. The scores were 98-92, 96-94, and a 95. Collazo looked good for his age. 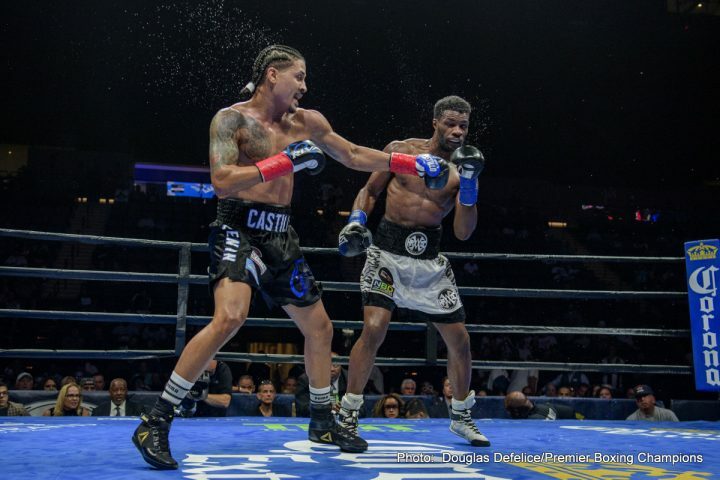 He’s still fighting after all these years, but he didn’t show anything in the fight that would indicate that IBF welterweight champion Errol Spence or WBO champion Terence Crawford have anything to worry about. Lightweight contender Richard Commey (27-2, 24 KOs) defeated Yardley Cruz (24-11, 14 KOs) by a 2nd round knockout in an IBF 135 pound title eliminator match. 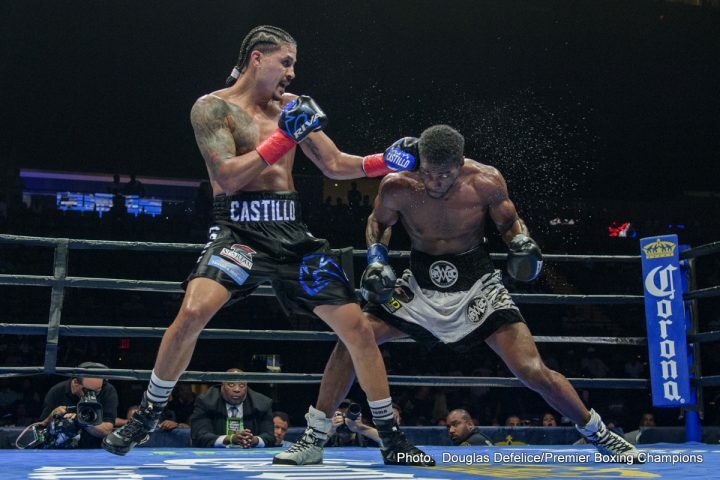 Light welterweight Gary Antuann Russell (7-0, 7 KOs) destroyed Jose Esquivel (10-8, 2 KOs) by a 1st round knockout. 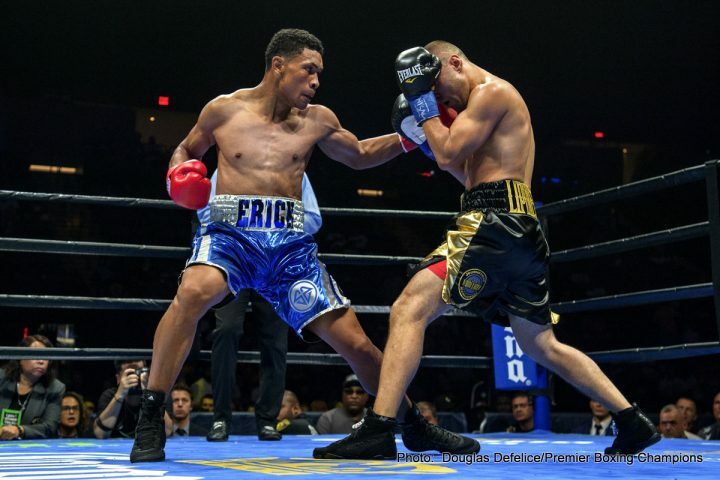 Junior middleweight prospect Joey Spencer (4-0, 4 KOs) defeated Bruce Lutchmedial (2-5, 2 KOs) by a 1st round knockout after knocking him down twice.